The mesmerizing properties of nanomaterials and the features offered by optical fibers can be combined to result in an attractive new platform for chemical sensing. This review (with 230 refs.) 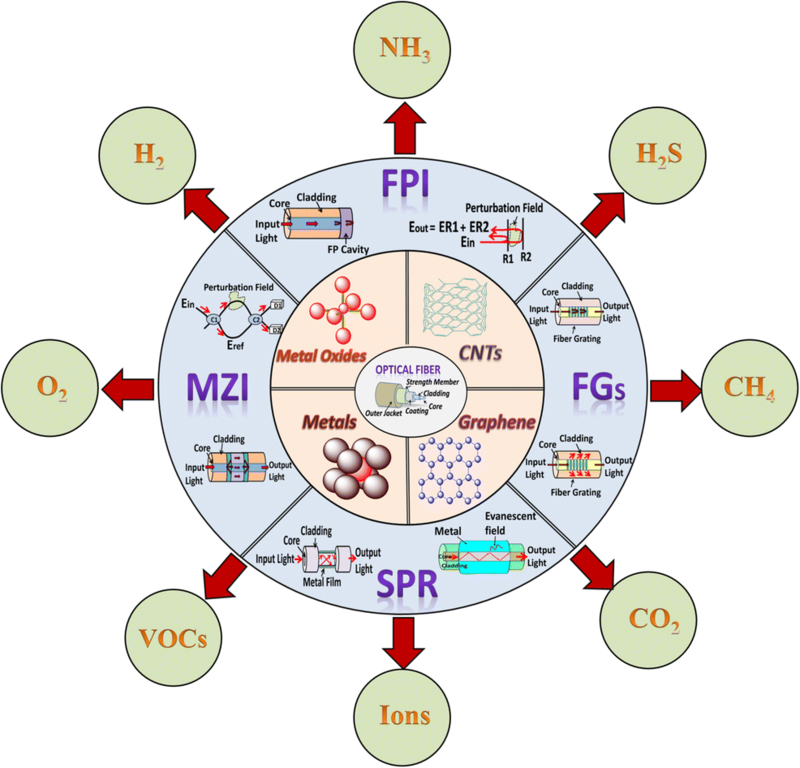 summarizes the progress made in the past five years in the field of fiber-optic sensors: The first group comprises metals and metal oxides and their composites, and the second group comprises graphene, graphene oxides and CNTs, and its composites. By combining these nanocomposites with various optical fiber geometries, numerous sensors have been realized. Following an introduction, first section summarizes fiber-optic configuration for chemical sensing (including Fabry-Perot and Mach-Zehnder interferometry, surface plasmon resonance, and optical fiber gratings of the FBG and LPG type). 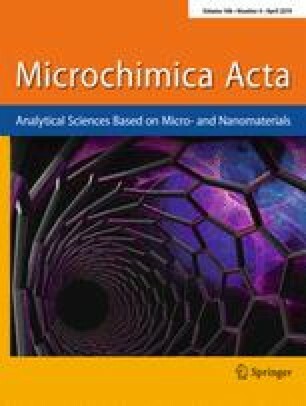 The second section covers typical nanomaterials used in such sensors, with a first subsection on metals, metal oxides, their composites and nanostructured modifications, and a second subsection on graphenes, graphene oxides, carbon nanotubes, and their derivatives. Section 3 summarizes sensors (i) for various gaseous species (NH3, H2, CH4, H2S, CO2, NO2, O2), (ii) for volatile organic compounds (such as ethanol, methanol, acetone, toluene, and formaldehyde), and (iii) for heavy metal ions (such as Hg2+, Pb2+, Mg2+, Cd2+, Ni2+, and Mn2+). The merits and limitations of these nanomaterials and numerous examples for nanomaterial-based sensors are discussed and presented in the form of tables. A concluding section addresses technological challenges and future trends. Schematic presentation of an optical fiber modified with various nanomaterials such as metal oxides (MOXs), metals, carbon-nanotubes (CNTs) and graphene. Such sensors are based on several fiber-optic configurations like Fabry-Perot interferometers (FPI), Mach-Zehnder interferometer (MZI) (includes an in-line MZI), surface plasmon resonance (SPR) (includes coating on cladding and unclad part of an optical fiber) and fiber gratings (FGs) (includes fiber Bragg gratings (FBGs) and long-period gratings (LPGs), these are explored for detection of various gases (NH3, H2, H2S, CH4, O2, CO2), vapors (VOCs), and ions. The original version of this article was revised: Corrections in Figs. 1, 3 and 5 were incorrectly carried out. Given in this article are the correct figures. A correction to this article is available online at https://doi.org/10.1007/s00604-019-3383-z. The authors acknowledge the support from the DIAT institute.